The peasant top: puffed sleeves, embroidery, roomy and usually the odd tassels too, what's not to like. 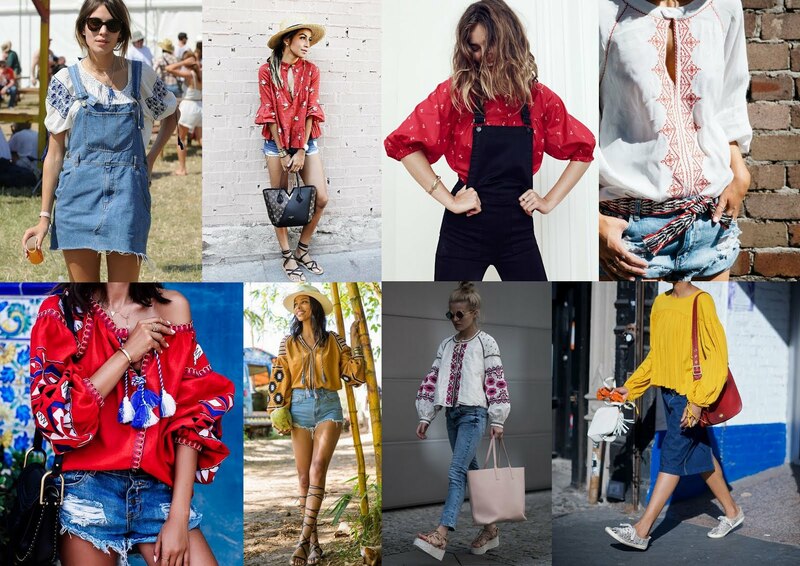 A summer essential, not just for holidays, wear over skirts/denim and under dungarees. 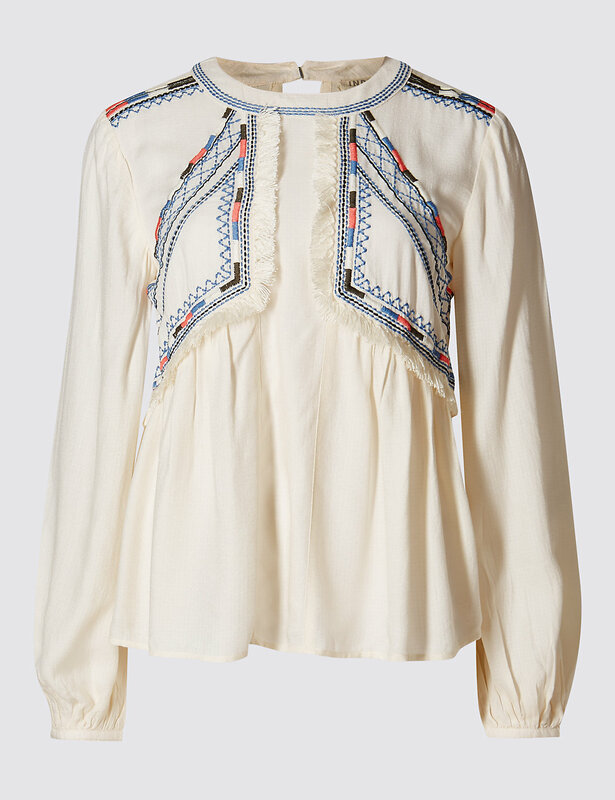 I bought one last year from the Zara sale (here & here) but was on the look for another this year. I tried on the insta famous Next top but wasn't feeling it much on me. 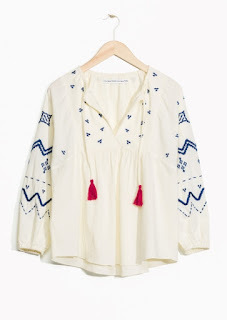 The other day I opened my email and came across the TOMS co-lab collection with '& Other stories', I loved it all. I quickly ordered the below top but was in two minds after receiving it. But tried it on again and fell in love with, it's funny how a little makeup and clean hair can make an outfit more desirable. Since receiving the top, it has sold out online but worth checking stores for stock. 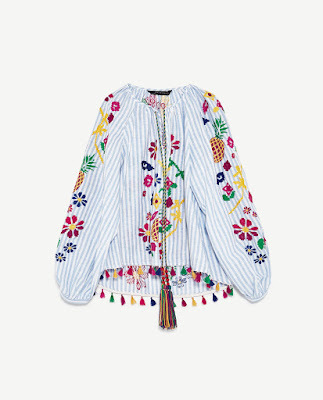 I think I love it more as I never knew about the tassels on the sleeves, sometimes it's the little things. 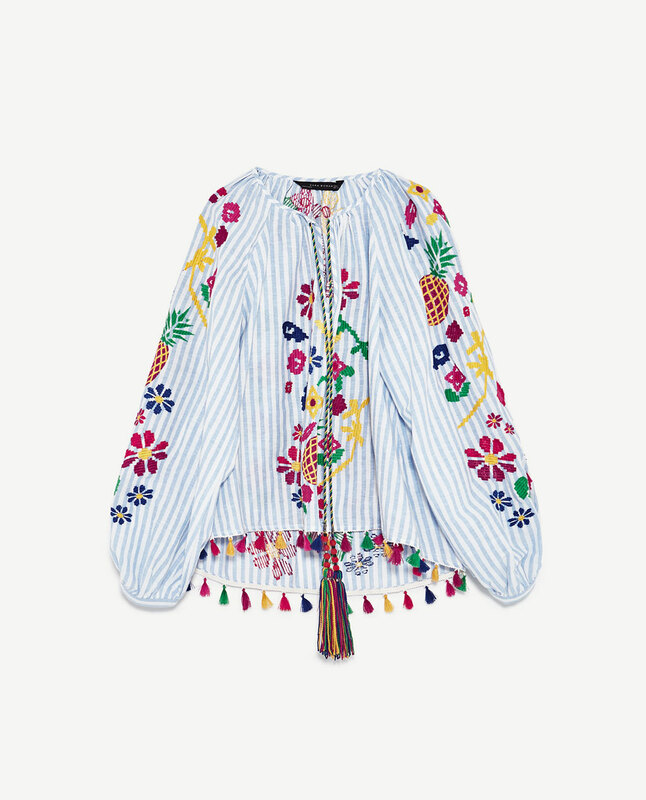 First up is the Zara striped blouse with embroideries and tassels, a fun bright top perfect for summer, definitely a top that will brighten up your day. 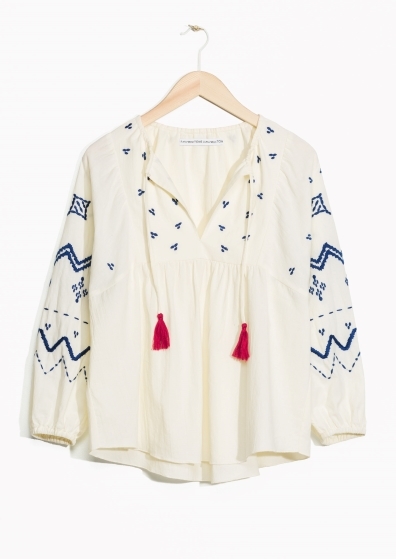 Next is the insta famous Next embroidered long sleeve top I mentioned previously, it also comes in blue too. I first saw it on Alex from The Frugality on her Instagram stories, it looked amazing on her. A perfect combination with blue denim. Another one I like is the below peasant blouse from M&S, seen it on a few bloggers I follow and looks lovely on. 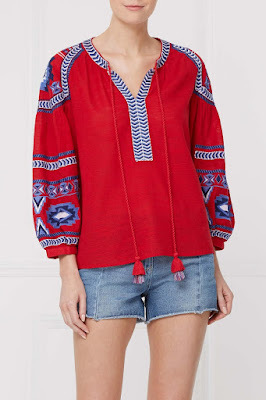 The difference with this top is the neckline, but the style is similar to other peasant tops and more wearable in some ways. 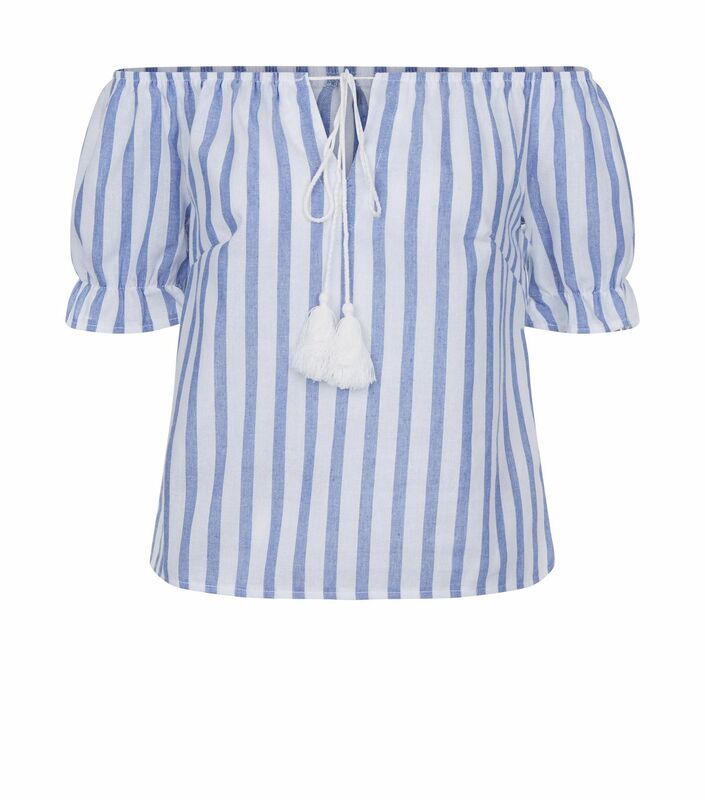 If you want something a little different for summer or holiday wear, this off the shoulder top is perfect for day and night and will look amazing with statement earrings and denim cut-offs. Not bad for £17.99 from New Look.